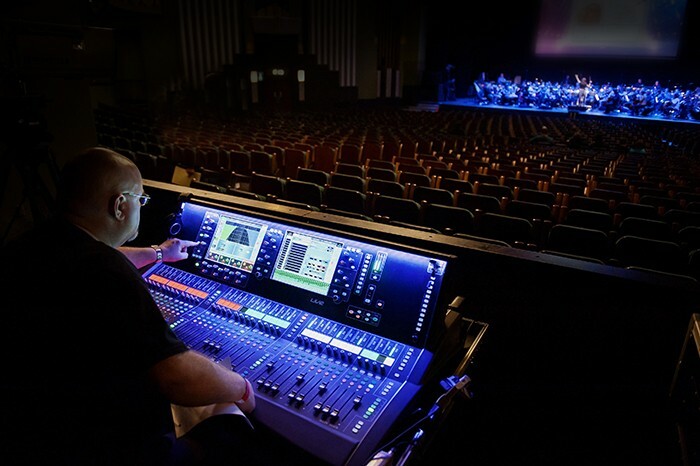 Having used a similar set up involving an iLive system for The Who’s Classical Quadrophenia production, FOH engineer, Ian Barfoot, decided to try out the new dLive system. 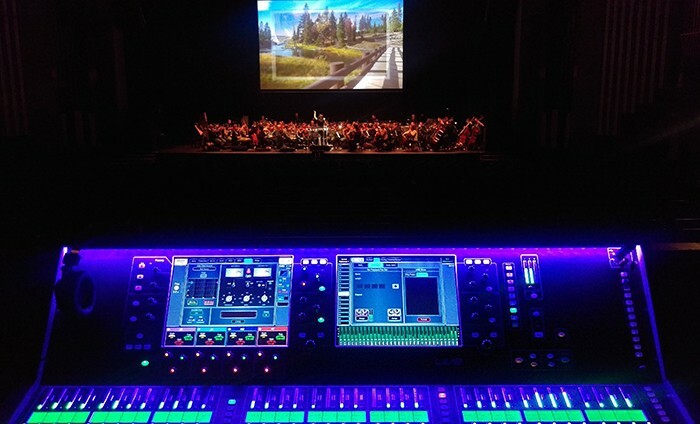 The main audio requirement was the Royal Philharmonic Concert Orchestra, which consists of 38 strings, nine woods, six French horns, eight brass and a great deal of percussion along with harp and piano. Additionally, there were 6 tracks of audio from the video content and two vocal mics for the presenters. The dLive system comprised an S7000 Control Surface with DM64 MixRack, utilising approximately 70 physical inputs feeding the L Acoustic K2 house speaker system. All FX were sourced from the “impressive” on-board FX library. “My first impressions of the desk was the stunning mic amp, which is very analogue in nature but with amazing detail and clarity. Listening to a single source is one thing but as you add more signals to the mix sometimes it can start to blur; not in this case – as each section of the orchestra was added to the mix, the warmth and lushness came but the individual clarity and detail could still shine through when required. There are a lot of "solo in place" parts in the orchestrations, which very naturally came to the fore without the need to stir faders. 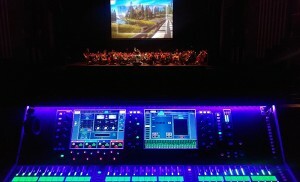 The ability, as with iLive, to lay the console out the way I want it is wonderful. However, the number of custom views available on dLive takes this to the next level. I unusually tend to have all my inputs arranged across the board, preferring to have a ‘working layer’ for each song giving me exactly what I need to access at that time and burying the non-urgent stuff,” says Barfoot. “I firmly believe that iLive was one of the great innovations in the world of live digital consoles, and dLive is all this and more. I honestly believe this is the finest digital live sound console I have used to date. It seems to have a three dimensional sound, certainly with an orchestra, that is not there with other consoles. It’s going to be a real game changer,” concludes Barfoot.